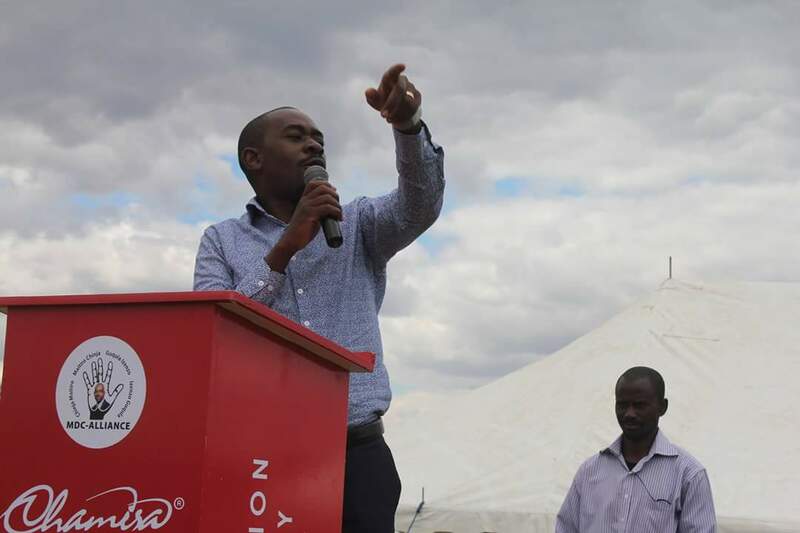 MDC-Alliance presidential candidate, Mr Nelson Chamisa, on Wednesday watched in celebration as his security aides assaulted and sprayed an unknown chemical into the eyes of one of the coalition’s two candidates for Gutu Central constituency. 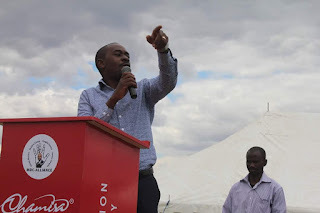 Mr Crispa Musoni (MDC-T), who is one of the double candidates for the alliance, wanted to accost Mr Chamisa for introducing Mr Enerst Mandigo as the pact’s nominee during a rally at Maungwa Business Centre in Gutu. Mr Mandigo is from Multi-racial Christian Democrats (MCD), one of the seven fringe political parties Mr Chamisa formed a coalition with. The alliance is fielding double candidates in more than 14 constituencies as a result of disagreements and infighting. Mr Musoni decided to follow Mr Chamisa’s convoy to Harare after he refused to meet him after the rally at Maungwa. Realising that Mr Musoni’s vehicle was behind him all the way from Gutu, Mr Chamisa ordered his convoy to stop in Chivhu before he unleashed his aides on the 76-year-old politician, who has been a member of MDC-T since its formation in 1999. The security aides left Mr Musoni for dead after spraying a chemical into his eyes, before throwing his car keys in the bush. In interview with our Harare Bureau yesterday, Mr Musoni said Mr Chamisa had dumped him during the rally, before ordering the assault. “Mandigo was brought to us by the national leadership led by Morgan Komichi just under three months ago to harvest where he did not sow,” he said. “We resisted this move before the Nomination Court even sat, but surprisingly his papers were signed at the national level, but the province refused to sign, saying we did not know him and therefore couldn’t work with.